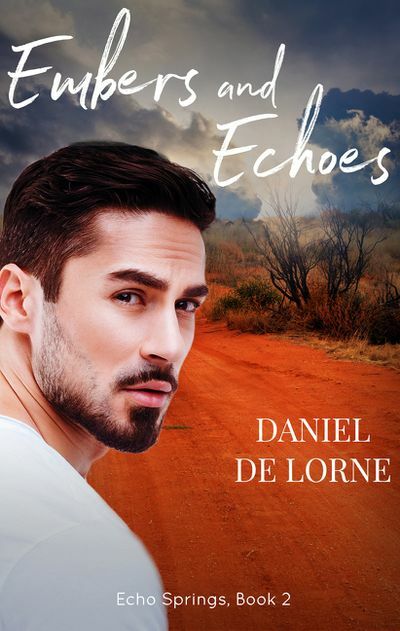 Today I am thrilled to have my friend and fellow Echo Springs author, Daniel de Lorne, talk to you about his inspiration for writing Embers and Echoes, the second book in the Echo Springs series. Daniel and I got to know each other when we worked on the Romance Writers of Australia committee together, first as general committee members and then me as President and him as my hand-picked Vice President. 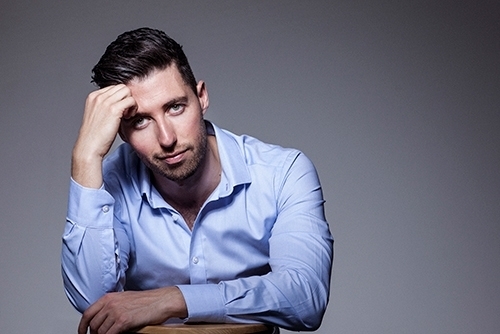 He was so good at what he did, I nick-named him SuperDan – a name which many of us still use years later, not just because of how good he is at what he does, but because of what he represents and his ability to share that journey with his friends and readers. I felt amazingly privileged to be included in the Echo Springs continuity with my fellow authors, but I was particularly thrilled to work closely with Dan as our stories intertwined, and it was a huge and onerous privilege to be allowed to play with his two male heroes, introducing them to the world and setting up little hints of the amazing journey he was about to take us on with his suspenseful love story. Talking about them with Dan, about their conflicts, their thoughts, their leaps of faith and their powerful love, taught me many things, and helped to make me write my characters more deeply and strongly too. Teacher, fellow author, mentor and brilliant writer – I’m so pleased to call him my good friend too. But I’ve said enough. Now it’s time for Dan to tell you all about it himself. Over to you Dan. What’s better than a man in uniform? When we met via Skype to discuss our ideas for the Echo Springs anthology, we were at that exciting stage, armed with a few ideas and keen to see how they all might fit together. We had a rough idea of our setting – later to be called Echo Springs – and that each story was going to focus on one of the cops. From there we had to make it all work. How hard could that be? From the beginning I knew I was going to write a gay romance. 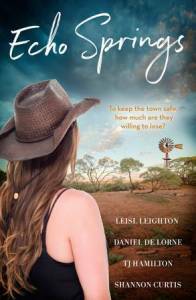 And best of all, once Echo Springs was published, it contained Harlequin MIRA Australia’s first gay romance in print. What a milestone! But before we got there, I needed a story about two men. One of them a cop. The other…? My first idea was about a cop trying to catch a wildlife smuggler, perhaps a tourist wrongly accused of poaching animals from the local national park. The response: What else have you got? The publisher’s ears pricked up and the response was enthusiastic. So in answer to the question what’s better than a man in uniform? Perhaps surprisingly, however, I decided not to make the book about what it’s like for gay men to work in traditional heterosexual male professions. I also wasn’t keen to go into what it’s like for gay people in small towns. Both are complex topics and it’s not right to say that, in 2018, there is a carte blanche of discrimination in these professions or in small towns. Sure, it happens and it’s scary, but I like to think – and hope – we’ve come a long way. And despite the crime rate in Echo Springs I wanted their sexuality to be the least remarkable thing. Hot, yes! Depressing, no. What I wanted to focus on was the unrequited love between constable Ben Fields and firefighter Toby Grimshaw. They were childhood friends before becoming teenage lovers, but they were pulled apart and all that was left between them were a lot of old wounds and a longing. When the book starts, they’re barely on speaking terms. But there’s still an intense attraction. The problem is for how long can you put up with it? I wanted my story to be about that tension and to see if it could be resolved through even more heartbreak. I’ll leave it up to you to decide whether it does. 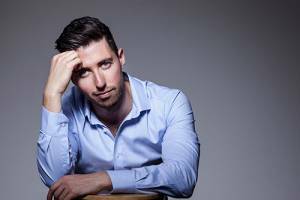 Daniel de Lorne writes gay romance for Escape Publishing and Dreamspinner Press. Embers and Echoes is the second book in the Echo Springs anthology. For more information about Daniel and his books, go to www.danieldelorne.com and sign up for his newsletter.